I have purchased and used Guthooks apps for a couple of trails over the past year (Tahoe Rim Trail and John Muir Trails). These apps are well done, have very helpful information and Guthooks Long Trail App will be an asset to your hike. In particular, I have found the elevation profiles, campsite and water notes/photos to be quite helpful. 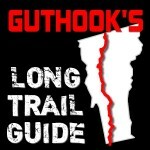 Gutho oks Long Trail App (Guide) is a detailed, map-based smartphone guide for your hike on the 273-mile Long Trail. It maps and lists 303 important hiker waypoints along the LT such as water sources, shelters, tenting sites, road crossings, resupply locations, and may others. NO PHONE OR INTERNET SERVICE IS REQUIRED to use Guthook’s Guides after the initial setup. Guthook’s Guides use a combination of your smartphone’s GPS, downloaded topo maps, and the Google Maps interface to accurately locate your position on the trail. Your phone’s GPS pinpoints your location on the downloaded topo maps. A bright red line indicates the location of the main trail on the map. Side spurs to water sources or other points of interest are indicated in blue. Waypoints of interest to the hiker are plotted on the map. There are also markers on the map every mile or kilometer of the trail track. The elevation profile shows trail distance vs elevation and plots your current location on the trail. Each waypoint is plotted on the profile. Each waypoints is clickable, opening to the waypoint’s detail page. The guidebook lists every waypoint in order by distance along the trail and how far away you are from each waypoint. Send your current location to friends and family via text message, e-mail, facebook or twitter. Each waypoint includes a detail page, providing further details about that particular waypoint. Details include the waypoint’s mileage point and elevation, photographs of the waypoint, distance northbound and southbound to the next water source, a Trail Register where you may post comments and read other users’ comments, and other details that will help you during your hike, and help you plan your hike.